Lee Kuan Yew, the progenitor of Singapore, has passed away. Lee was a singular individual with many interesting ideas, and Singapore likewise is a singular place with many interesting features. Plenty of ink has been spilled about how special Lee was and Singapore is in the last few days, and TK does not have much more to add on Lee or Singapore, by themselves. What this blog can add is a bit of perspective about Singapore and Korea, and the two countries' leaders, as ideological counterparts. In 1994, Lee Kuan Yew engaged in one of the most important debates in East Asian political science--against Kim Dae-jung, who was at the time an opposition leader in Korea, and later, Korea's president and Nobel Peace Prize winner. The debate came in the form of Lee giving an interview with the Foreign Affairs magazine, and Kim responding to Lee's points several months later on the same magazine. For anyone who is curious about East Asian politics and the spread of democracy, these two pieces are must-read classics. Go now, and actually read them--because they contain big ideas, and any summary of them will not do full justice. But very roughly speaking, Lee Kuan Yew and Kim Dae-jung were debating the relationship between East Asian culture and democracy. Lee Kuan Yew considered East Asian culture to be distinct from the Western culture; accordingly, East Asia and Singapore would not accept democracy--at least, not the kind that was being practiced in the West. Lee, for example, said because East Asia focused greatly on family, "a better system" would be "if we gave every man over the age of 40 who has a family two votes because he is likely to be more careful, voting also for his children. He is more likely to vote in a serious way than a capricious young man under 30." 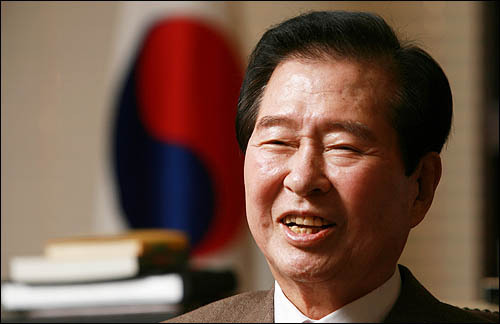 Kim Dae-jung, on the other hand, believed that democracy was a universal force. To Kim, culture was important, but cultural differences were overrated. Instead, the commonalities of world culture--arising from the common human experience--uniformly pointed to democracy. In a key passage, Kim Dae-jung wrote: "Asia has its own venerable traditions of democracy, the rule of law, and respect for the people[,]" pointing to traditional Confucianism under the which the king is held accountable to the people, the civil service system that was based on meritocracy rather than hereditary inheritance, and the independent bureaus that were free to criticize the king's deeds--all of which happened centuries before Europe even had a seedling of democracy. East Asia already had all the trappings of a democratic culture; it simply needed to transplant the democratic institutions that would give expression to this culture. It has been a little more than 20 years since the Lee Kuan Yew-Kim Dae-jung debate began. Incredibly, both men made a real-life case for their arguments in their respective countries. Under Lee Kuan Yew, Singapore enjoyed brilliant economic growth under socially restrictive rules, topping the charts in positive indicators across the globe. Under Kim Dae-jung, Korea oversaw opposition parties peacefully exchanging power like mature democracies do, and at the same time raised a host of world-class corporations while becoming a major player in the global soft culture. Who will be proven correct? The implication of this debate is greater than ever. In the last 20 years, democracy in Asia has either stalled or regressed, depending on where you look. Most importantly, China is yet to democratize. If Lee Kuan Yew was right, the world's non-democratic superpower will never be a democracy. If Kim Dae-jung was right, a seismic change is afoot. Either way, the result of this debate will shape the next century of East Asia and the world.